The 1997 Ford F-150 belonging to Catherine Havel was involved in a roll over crash that took place on Crabtree Hollow Road in Lawrence County on Thursday. New Boston-A call alerting New Boston Police of a woman suffering from an overdose in a parking lot, ended in a roll over crash in Lawrence County on Thursday. After evading New Boston law enforcement , Catherine Havel, 24, of Lawrence County, was apprehended and is now facing charges in both Lawrence and Scioto counties. According to the police report, at approximately 3 p.m. The New Boston Police Department and Fire Department was dispatched to the CVS parking lot located at the corner of Gallia St. and Harrisonville Ave. in reference to a female in a vehicle reportedly suffering from an overdose. Upon arrival, police and fire personnel made contact with the female later identified as Havel who was seated in the driver’s seat of a 1997 Ford F-150 who appeared to be under the influence of drugs, according to reports. Police and fire personnel requested assistance from Portsmouth Ambulance to assist with medical treatment. While Havel was being treated officers learned that she had an active warrant for her arrest that was issued by a Lawrence County court for Possession of Drugs. After the arrival of Portsmouth Ambulance, medics assessed Havel and determined she would need to be transported to the Southern Ohio Medical Center for treatment. Before medics could transport Havel she fled the scene in the 1997 Ford F-150. According to the NBPD report, while fleeing the scene the mirror of Havel’s truck struck the NBPD officer on the shoulder not causing any injury. Havel’s truck also struck the NBPD patrol vehicle causing minor damage. NBPD Officers later traveled to Kitts Hill in Lawrence County in an attempt to locate Havel, while doing so, officers made contact with Havel’s mother who advised she had not seen Havel in two days. While the officers were returning to Scioto County information was received from The Ohio State Highway Patrol Post 44 located in Lawrence County. 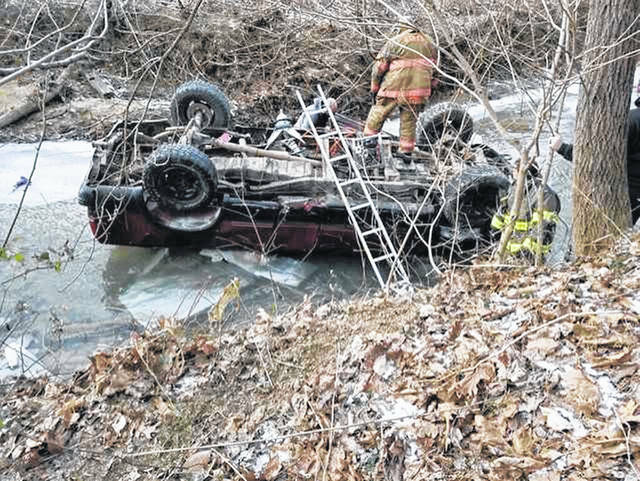 Post 44 advised NBPD Officers that the 1997 Ford F-150 belonging to Havel had been involved in a roll over crash on Crabtree Hollow Road in Lawrence County. Post 44 advised that the driver of the vehicle fled the scene on foot. NBPD Officers later arrived on the scene of the crash and assisted the troopers of Post 44 with conducting an investigation and search of the area. During the investigation and search, information was obtained that led to the discovery of Havel at a nearby residence. Havel was later transported to a nearby hospital for treatment. Havel will be facing multiple criminal and traffic charges in Lawrence County and after NBPD completes the investigation the case will be forwarded to the Scioto County Prosecutor’s Office for determination of charges and presentation to the Scioto County Grand Jury. NBPD would like to thank the troopers of Post 44 and all of the Fire and EMS personnel that were involved. NBPD also asks that anyone with information please contact NBPD at 740-456-4109.